Taylor spent 60 minutes discussing how your yearbook coverage can directly impact your book’s design. Replay of the webinar is now available. Creating page templates helps yearbooks keep a consistent look and allows students to learn basic elements of design, but can also cause a stale or repetitive feel to the book. 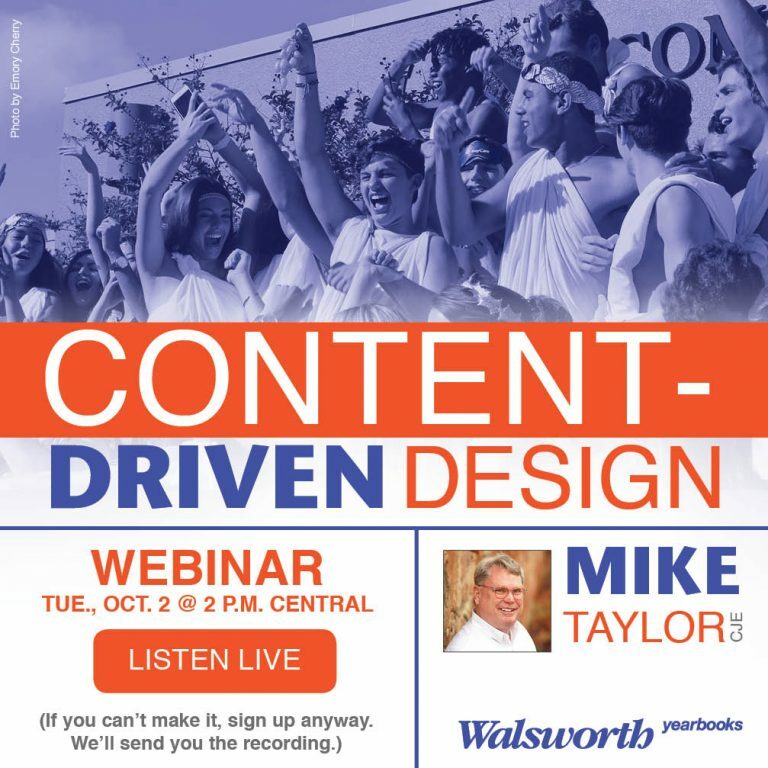 In “Content-Driven Yearbook Design,” Taylor urges advisers to go out through their schools and find interesting stories first, then design eye-catching spreads around those unique stories. For the first half of the presentation, Taylor walks through the steps of the creation process. Then over the final 30 minutes, he shows a wide variety of examples from numerous 2018 yearbooks.